Stress is known as the greatest cause of illness. What do we know about stress, and how can we overcome it to reclaim our magnificence? From the initial stress of childbirth, we arrive into a world that at some point will deny us our basic needs. How often this occurs, and how we experience and respond, is key. 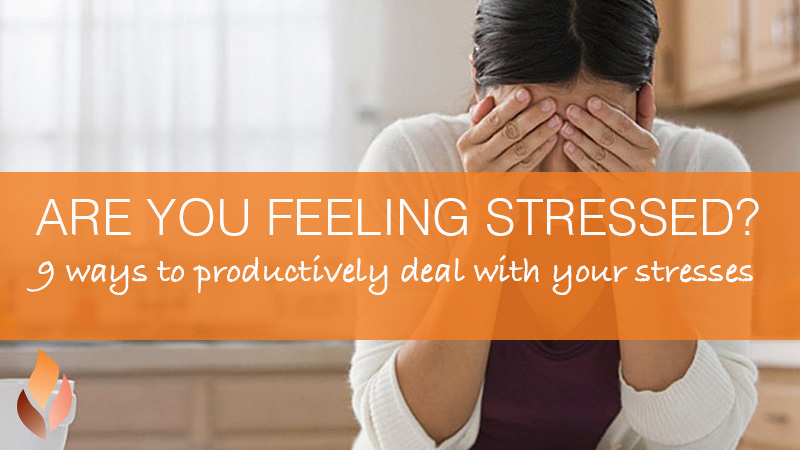 Stress is a natural current that will be with us our whole lives–it’s unavoidable. It’s how we deal with stress that makes all the difference. Our true self is the self that handles stress like water off a duck’s back. This is the self that shines authentically, without doubt or blockage. From the purity of potentiality, many of us break down at impending stress, the thought of stress is often worse than the stress itself. We subconsciously protect ourselves from the expectation of suffering. This “armoring” is a defense mechanism that holds us back from experiencing life and ourselves to the fullest. When energy is not flowing optimally, energy blocks result. These create an array of symptoms from depression and anxiety to illness, pain and suffering. Beneath the layers of protection and blockage lies your core self, your true self. If we resist feeling our emotions and releasing them, energy blocks will ultimately form deep layers of protection, emotional scarring, trauma and fear. Negative memories (emotional stress and trauma) are suppressed or buried often outside of conscious awareness. Perhaps the only way of knowing these emotional issues exist, is the presence of illness. It is not the stress or the stressful emotions themselves causing a problem, it’s how we suppress and resist feeling these emotions that causes problems. The stress just increases when we suppress it. The secret to finding where you hide your hurts, is in where you feel an absence of love. This shadow self is where you repress your needs and wants. It is always okay to express emotions. 1. Allow yourself to fully feel and experience your emotions. Feel every part of you, especially the parts you previously resisted, such as you fear, your anger, or your anxiety. Move your goal from removing, escaping, or blocking, to allowing (non-judgment). The Gay Hendricks Method advises when you have stress or pain, ask yourself: I wonder what I am angry or anxious about? 2. Accept and integrate your past. Invite an ongoing process into your life, a process of letting go of your past. Clear your history. How? By journaling. Examine your life, your history, your stories…allow and accept it, and then gradually let it go. Acceptance is the most liberating step you can take for clearing away stress. Life energy is expressed through our essential self, which is the wellspring of all healing, joy, creativity and wisdom. Understand your unique gifts and talents. Reclaim and reactivate your innate self – your capacity to shine. 4. Let your inner child out to play. Renew yourself. Find the playful expressive being who is open to sharing his or her truth and standing in pure magnificence. Play! Dance! Listen to loud music! Do whatever works to bring out your inner child. Express yourself. Movement has been proven by countless studies to be the key in improving our stress threshold, our ability to handle stress. Move in any way you like, and do it regularly. Take a walk in the park, go for a swim, or sign up for a boxing session at your local fitness club. Increase your ability to handle stress by expanding your access to “whole brain” functioning. How? Practice Yoga and Meditation. The possibilities are endless when you have an expanded awareness of yourself and the world in which you live. Yoga and mindfulness meditation have proven benefits for overcoming stress, and are based on thousands of years of practice. 8. Share with friends and family. Share your life with loved ones. Don’t suffer alone. Let people know how you’re feeling. Engage with people via social interactions in community forums, religious centers, clubs, sports, etc. We are part of a community of people, and nobody needs to ever feel alone. Spending time with friends and family is an important way to deal with stress, and promote health and wellbeing. Love is a heightened state of awareness where personal boundaries melt. Love is the bedrock for your authentic self. Beyond all self-protective armoring, love is where you come from, your true essence, the ultimate truth about who you are. Love releases stress and fear. Reclaim your love for yourself and your loved ones. Love is truly going home.